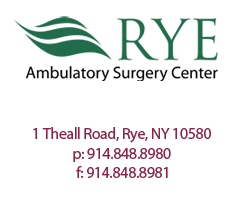 Rye Ambulatory Surgery Center supports an individual’s rights to make informed health care decisions, including the right to accept or refuse treatment and the right to formulate advance directives. Advance directives are legal documents or oral instructions that govern how your health care decisions are made and notify your doctors and others about your wishes in case of a serious medical problem that prevents you from deciding for yourself. Examples of advance directives are a health care proxy, consent to an order not to resuscitate (DNR order) and a living will. If you do not plan ahead, family members or other people close to you may not be allowed to make decisions for you and follow your wishes. If you have no one you can appoint as your health care agent or do not want to appoint someone, you can also give specific instructions about treatment in advance. Those instructions can be written, and are often referred to as a living will. You should understand that general instructions about refusing treatment, even if written down, may not be effective. Your instructions must clearly and convincingly cover the treatment decisions that must be made, including both the kinds of treatment that you do not want and the medical conditions when you would refuse the treatment. You can also give instructions orally by discussing your treatment wishes with your doctor, family members or others close to you. If you have an advance directive, you should notify your physician and bring a copy of it to the Center so that it may be included in your medical record. You may also fill out and sign a health care proxy form at the Center. In either case, you should also discuss your treatment wishes directly with your physician. PLEASE NOTE: It is the policy of Rye Ambulatory Surgery Center that DNR orders be suspended while you are a patient at the Center. In the unlikely event of a life-threatening emergency, professional staff will initiate resuscitation or other stabilizing measures and transfer you to an acute care hospital for further evaluation, regardless of the contents of any advance directives, existing DNR orders or instructions from a health care agent. At the acute care hospital, further treatment or withdrawal of treatment measures already begun will be ordered in accordance with your wishes or advance directives.